Found this guy (or gal) in Douglas Park during Riot Fest in Chicago. 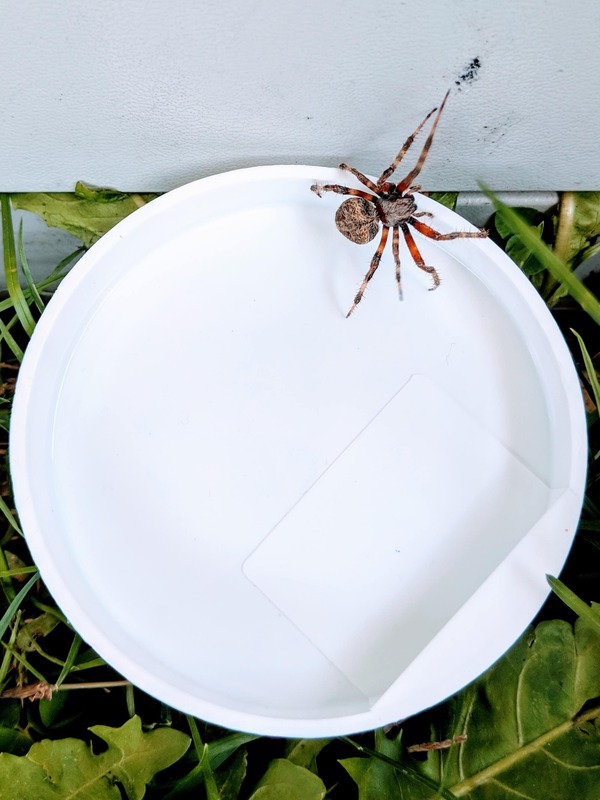 It's crawling on a poster tube cap that's 3" in diameter. Hi, she might be Neoscona domiciliorum.